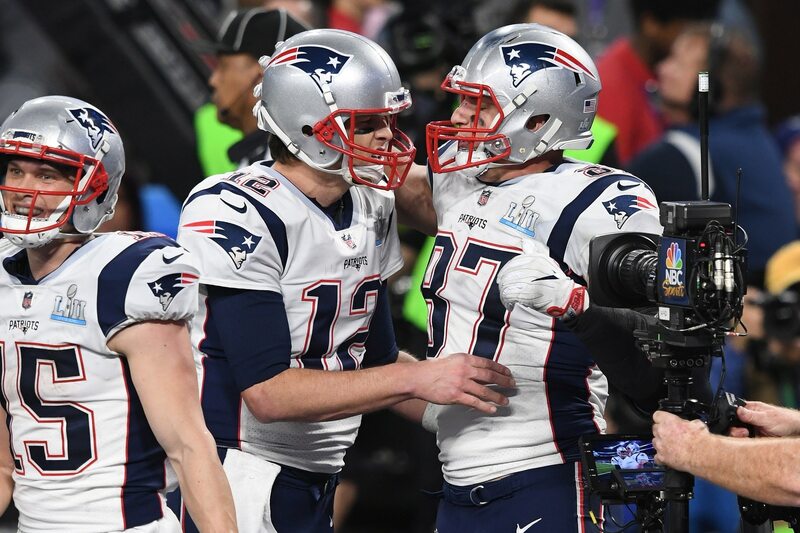 One man has gone to great lengths to placate a once-frustrated young New England Patriots fan, and it involves a Tom Brady/Rob Gronkowski “tramp stamp” tattoo. WWE star Mojo Rawley posted a picture of the tattoo, with what is quite a touching explanation for why it happened in the first place. A friend of his got the tattoo after the Patriots won Super Bowl LIII because he promised his daughter he would do it if they won following the team’s devastating loss the year before. That’s what you call some serious daddy power. So, if you ever do see a man with a tattoo of Brady and Gronk just above his backside, know there’s a good chance he has a noble reason for it.